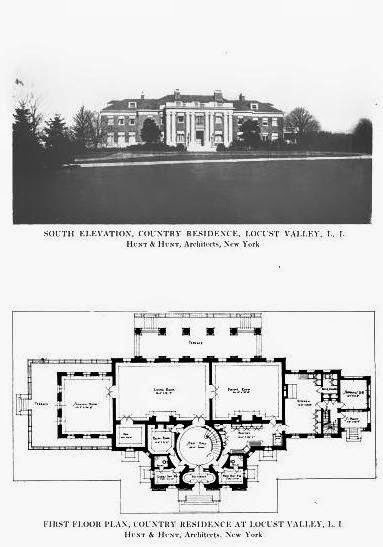 The Louis J. Horowitz estate designed by Hunt & Hunt c. 1918 in Lattingtown. Click HERE for more on the Horowitz estate which was demolished in 1954. Photo from the Year Book of the Architectural League of New York, 1918. Admire the entry sequence of rooms out to the rear portico. Would love to see more of this estate.